I am so excited for the weekend. I am looking forward to watching some football and putting up my Christmas tree and decorations. This initial pendant necklace on sale - great stocking stuffer. This winter white wool wrap coat. This velvet blazer that comes in 6 colors - and is on sale! This leopard sweater for $20. This cowl neck tunic sweater for $28. This leopard cardigan for 40% off. These leggings are $17 - and come in four colors. This staple sweater is 40% off - and comes in many colors. This zip up “workout” sweatshirt - great for running errands - only $30. This leopard blouse is 40% off - and stunning! This new arrival sweater is only $15. This plaid sweatshirt is only $10. I like this fair isle print sweater. These leopard boots are still on my “wish list” and 40% off. This is the cutest tri-color knit pompom beanie for only $19. This lipstick trio is a great deal of only $19 (originally $70). I love this puffer jacket that is on sale. This cozy cardigan that is 40% off. This boucle coat in the prettiest winter blue (and also burgundy). This classic turtleneck dress is 40% off. I cannot decide which leopard coat I like best, lol. Have a super sweet and festive weekend! that Mac lipstick trio is such a steal! I want it for myself! Have a wonderful weekend Lisa! 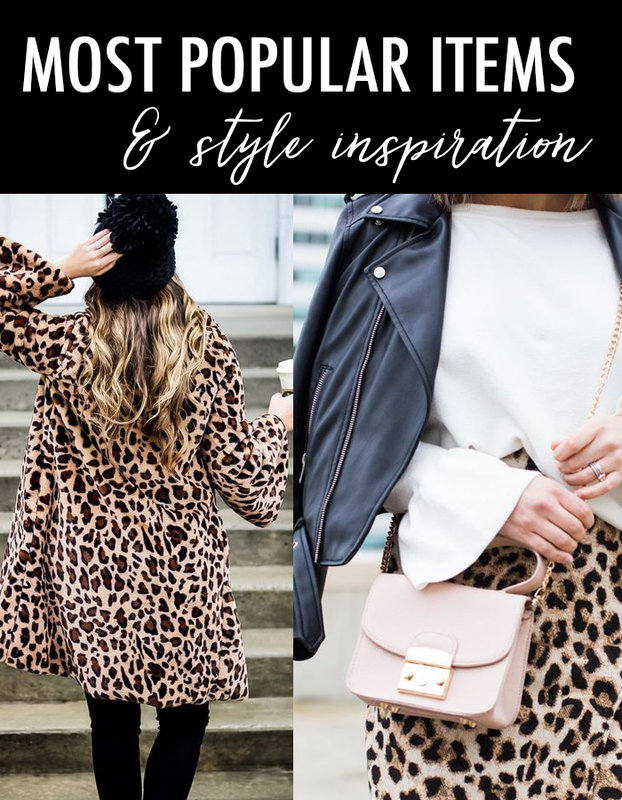 Leopard is so everywhere....and that's a good thing! The Christmas party outfit picks are all so gorgeous! I want them all! Thanks for linking up!